Having a good spot treatment on hand has saved my skin from getting worse. In addition, it’s also prevented me from picking at a pimple on my face because I know that I’ve applied something to it. 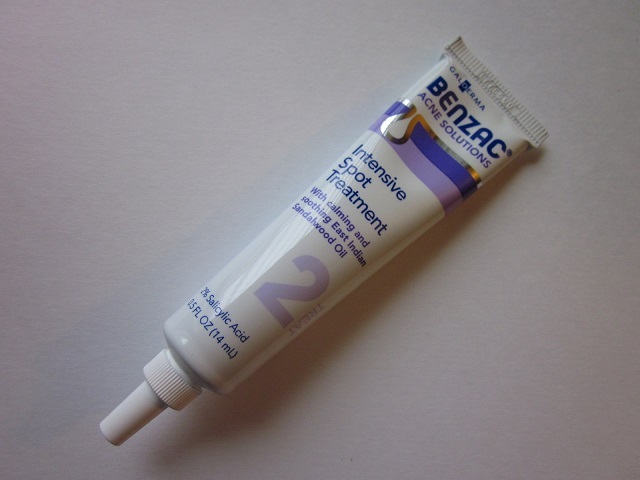 When Target started carrying Benzac acne products, I had a lot of faith in the range since they’re known to be prescription products. 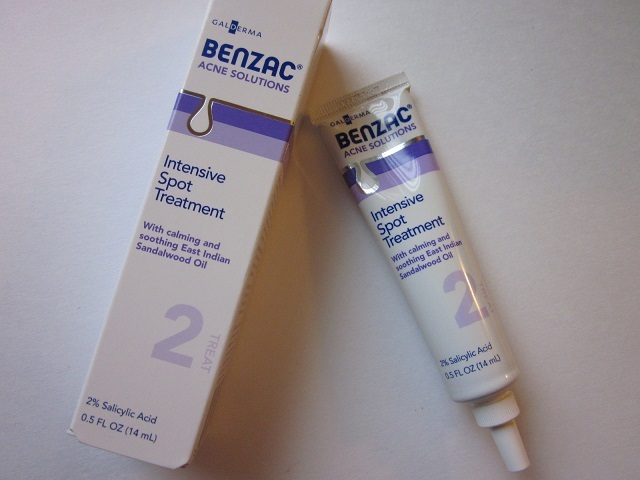 While Benzac features the Acne Solutions Intensive Spot Treatment, the line also has the Acne Solutions Skin Balancing Foaming Cleanser, the Acne Solutions Blemish Clearing Hydrator, and the Acne Solutions Complete Acne Solutions Regimen at Target. Much like the description indicates, this product is a spot treatment that is clear and odorless. You can apply it at night before bed, or apply it during the day over makeup for day time treatment as well. The product isn’t harsh, is very soothing on the skin, and seems to keep my skin less dry than most spot treatments. “In addition to East Indian sandalwood oil, the Benzac product line also contains salicylic acid and extracts from natural ingredients like Kakadu plum, honeysuckle, zinc, onion extract and lemon myrtle.” The incorporation of these skin-soothing ingredients is great because it fights the acne and keeps skin happy and healthy as well. If you have mild acne and a few spots to treat, I think this would be a great option. It’s expensive for what it is, so that’s the only draw back. I can’t compare it to its prescription counterpart since I’ve never taken or used prescription acne medications, but I don’t think it’s all that necessary to have this particular acne product. Ordinarily, fake eyelashes aren’t part of my every day routine. I like to use them for special occasions, but I’ve found that even then, I’m compelled to skip it and pile on some regular mascara. When I’m in the mood for false eyelashes, my go-to’s are the Ardell Demi Whispies #120 since they provide the perfect amount of length, fullness, and volume for my eyes. In addition, I don’t have to trim them or fuss with them too much before application. Another reason why they’re my favorites is that the curve of the lash band isn’t flimsy and holds its shape well. I’ve noticed that this makes the application process much easier. 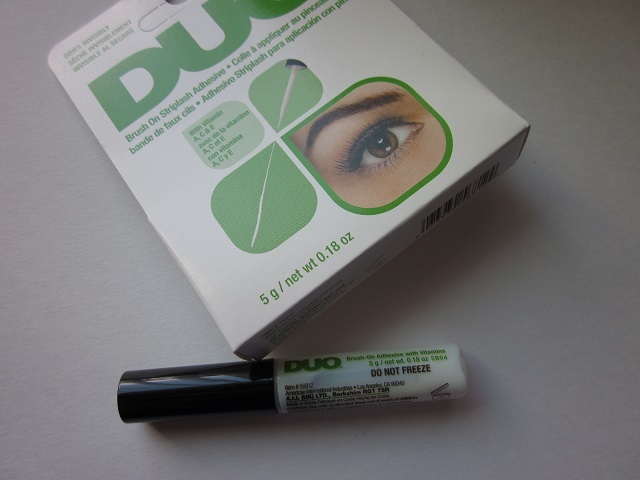 Another suggestion that I’m excited about is that DUO has updated their lash glue. While the tube is still readily available, the wand applicator with a brush tip has made my life so much easier. Additionally, I’ve been more motivated to throw on some lashes because the glue is so easy to work with. 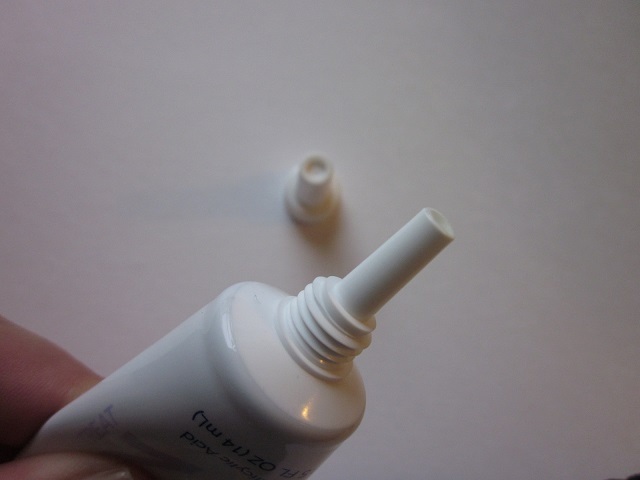 The brush applicator is very thin, but hold just enough glue on its ends. You’re able to hold the false eyelashes by the hair, and directly apply the glue with the brush tip along the lash band. Pretty much in a few swipes, the glue has applied evenly and not goopy along the lash band. After about 15 seconds, I reapply some glue to just the ends before applying the fake lashes onto my lash line. I manipulate the lash band to fit properly onto my lash line, wait a few more seconds to dry, and then use my eyelash curler to “bind” the fake and my real lashes gently together. 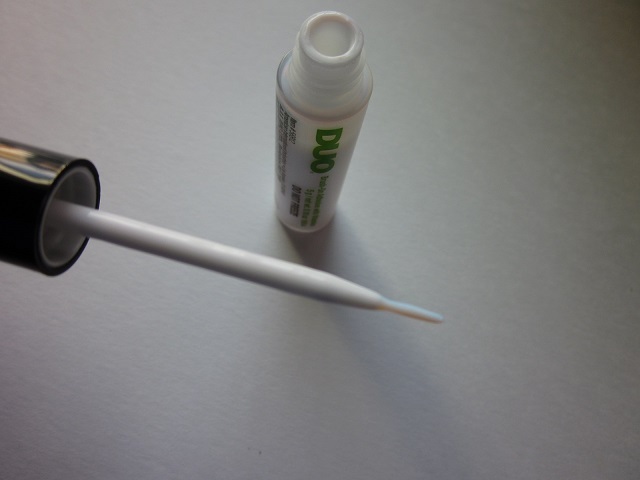 The Duo Brush-On Adhesive With Vitamins is an excellent glue to use for its precision and ease. You can tuck it away into your purse or makeup pouch, it’s easy to use, and is definitely less messy than the Duo Lash Adhesive in Clear and the Duo Lash Adhesive in Dark. If you’re looking to make applying false eyelashes a little bit easier, I suggest switching up the glue. 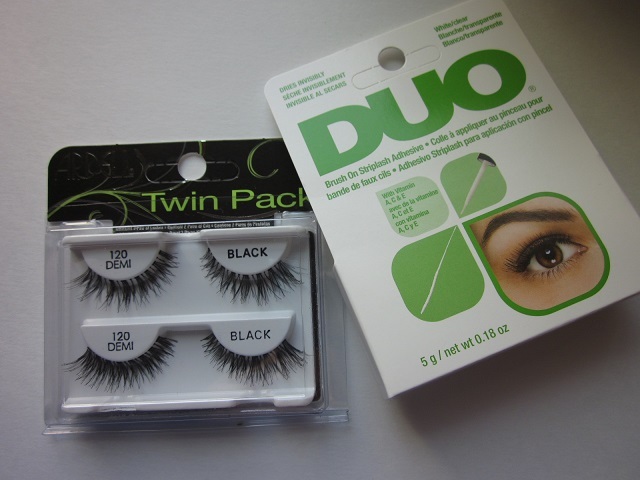 Have you tried any of the DUO lash glue? If you have, which one do you prefer? Concealers are nearly never on my radar since I’m typically okay with a thin layer of base makeup only. However, with the minimal makeup look I’ve been sporting lately, concealers have come in handy. In the mornings, after my skincare routine and sunscreen application, I find myself leaning towards swiping on some concealer and dusting my face with some mineral powder. Remember that not all concealers are created equally, so different formulas and colors can be used for different parts of the face. In fact, it’s even suggested that different tones are appropriate for different areas of concern on the face. Recently, on a pinch, I purchased the Maybelline Fit Me Concealer after misplacing my NARS Radiant Creamy Concealer in “Vanilla.” I’m pleasantly surprised and really believe that the Fit Me Concealer is not only my go-to concealer, but nearly an exact dupe for the NARS Radiant Creamy Concealer. 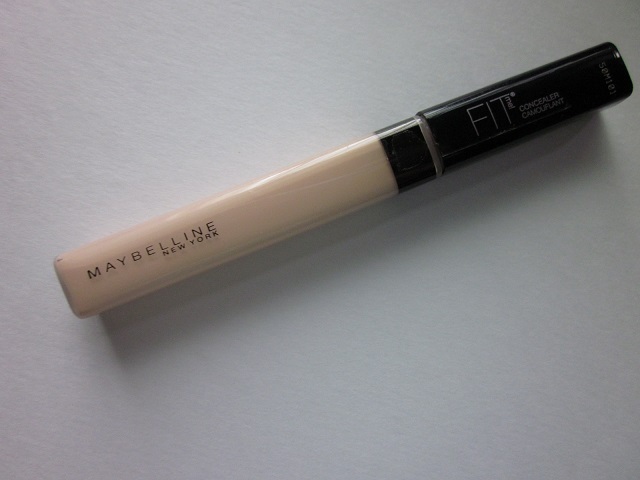 The Maybelline Fit Me Concealer “lends seamlessly to cover under-eye circles and imperfections. 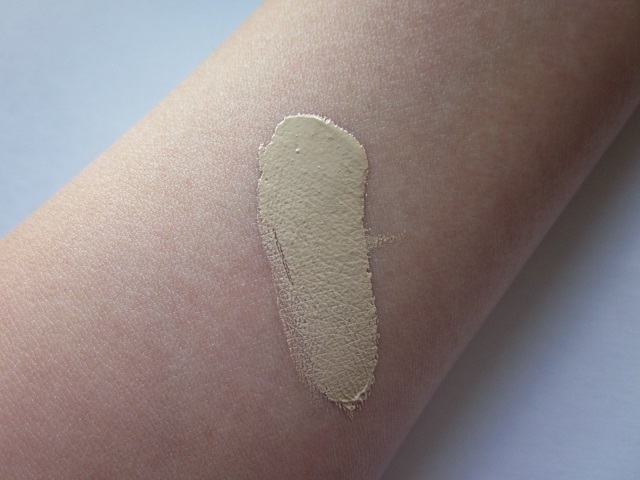 [It] matches [skin’s] natural tone, never blotches, never cakes.” This concealer is surprisingly easy to use — I simply just swipe and dab the product on areas that I need some concealing, and I blend it with a small synthetic brush or with my finger. It doesn’t slip and slide like most liquid concealers and stays put. The coverage is impressive; and, I’ve found that a little bit goes a long way. In some cases, where I’ve only applied this on my cheeks, it looks like I’m wearing foundation because the coverage and pigmentation is so wonderful. For the price, this could easily be a part of your ‘every day routine,’ and could certainly be purchased in place of the NARS concealer. I chose the shade Fair and it’s a perfect blend of ivory/porcelain with some neutral-pink/cool undertones. It balances out pigmentation, redness, and evens my skin nearly instantly; and, it dries down matte onto the skin leaving it pretty much undetectable. It’s very easy to use only this in the mornings when I’m in a rush. Typically for no-makeup makeup days, I’ll just use this and I’d be totally okay with that. However, I find that it’s a bit heavy for the under eye area; and, since it’s easy to accidentally goop the product on, you should use a light hand for delicate areas like the under eyes. I did notice some caking if my skin had some dry patches, but that’s expected for any product that is applied to dry and flaky skin lol. 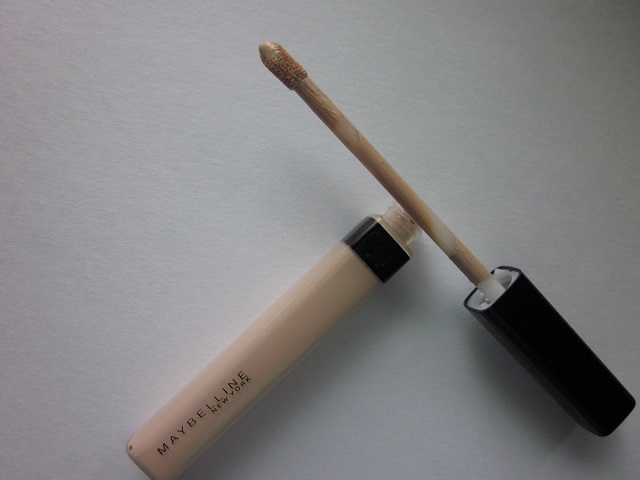 I highly recommend this concealer since it’s so easy to use, budget-friendly, and is a dupe for the NARS concealer. Because Maybelline is so readily available and you can use Ulta and drugstore coupons, it’s such a great deal for a product that performs so well. Sunscreen + primer has been my newest curiosity as of late, and I’m always looking into ways to cut a step out of my morning skincare routine. 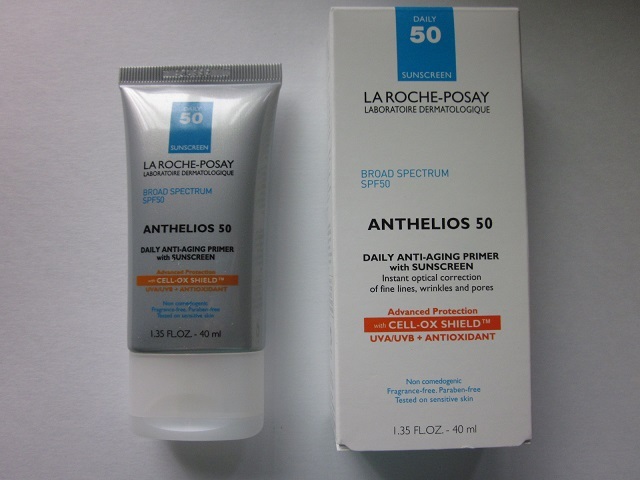 La Roche-Posay is known for their fabulous skincare and suncare products so I didn’t hesitate to try the new Anthelios 50 Daily Anti-Aging Primer with Sunscreen. Now that the summer months are approaching and I’m trying to avoid layering on too many products during the day, this particular product peaked my interest. 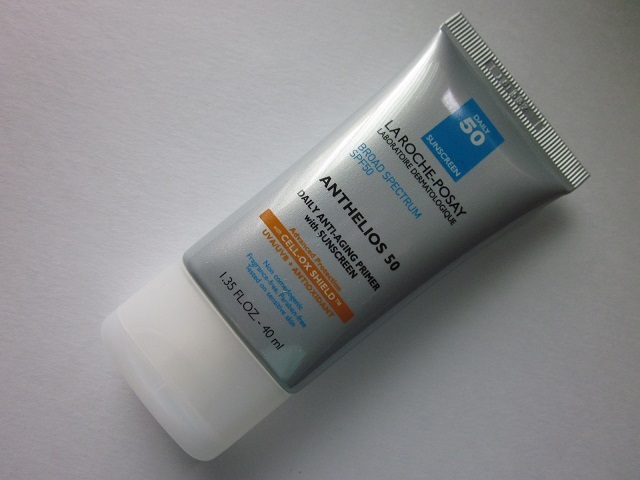 The La Roche-Posay Anthelios 50 Daily Anti-Aging Primer with sunscreen is a product that “combines broad spectrum UVA/UVB protection and powerful antioxidants in a primer that provides a blurring effect on skin. This innovative skincare product provides instant optical correction of aging and daily prevention of aging caused by the sun.” Initially these are some bold claims — and the best of both worlds. There’s some truth to their claims. The sunblock does contain high SPF, but applying too much of the primer makes your skin greasy and wouldn’t help your make up stay on longer. In contrast, if you applied too little of it then you wouldn’t be getting adequate sun protection. For me, I realized a little bit of this went a long way — only a small amount of it was needed to spread onto the skin. For this reason, I relied on my regular sunscreen underneath and applied tiny dabs of this primer on my nose, forehead, and cheeks. Another truth is that the texture of this product is really nice. It’s lightweight and blends easily since it’s kind of moussey texture. It fills in lines and pores really well, which I was impressed with. It didn’t irritate my skin and didn’t interfere with my makeup application, so in that sense, it worked as a primer should. However, again, I wasn’t into wearing this alone and skipping my usual sunscreen since I felt that it wouldn’t be giving be the amount of protection needed based on the small amount of product applied. Honestly, it didn’t reverse any major aging, nor did it all of sudden give me the sudden appearance of younger looking skin. While the “daily anti-aging and antioxidant protection” sounded nice I think this performed better as a primer more than anything else; and, I certainly wouldn’t rely on only this to protect my skin. Additionally, although La Roche-Posay’s “Advanced Anti-Aging Filtering System” and “Powerful Cell-Ox Shield Antioxidant Complex” are known to “protect from signs of skin aging caused by the sun,” you’d have to apply a hell of a lot to get that protection — in which case you’d be applying way too much primer on your skin. I think La Roche-Posay aimed to produce a multi-functional all-in-one kind of product. However, I didn’t like applying too much of this stuff too my face because it got so oily fast. I wore a separate sunscreen underneath this primer — just like I would for any other primer I would use. So, for me, this product didn’t do anything out of the ordinary for me. All the fancy shmancy words and promises sound great, but I think it’s more responsible to apply a good amount of sunscreen to your face and add on a primer only in the places where you need it. I don’t recommend this product, even though I’m a big fan of La Roche-Posay products and would recommend the line to everyone (depending on your skincare concerns). Unfortunately, this product didn’t wow me even though the concept was nice. Suncare is such an important part of your every day skincare routine; however, it’s especially important to consider incorporating a good sunscreen when it’s summer. I wear sunscreen all-year so it’s become a habit of mine in the mornings. 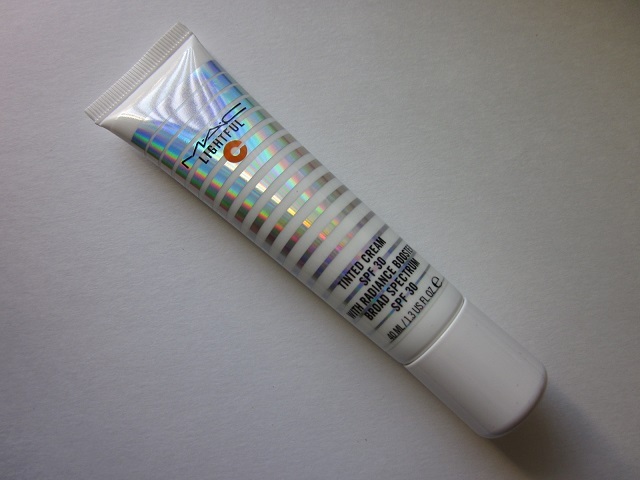 I like to keep an eye out for wearable sunscreens that perform well under makeup especially. Additionally, I prefer liquid sunscreens because they’re typically light, non-oily, and can be worn under makeup without feeling like an additional layer of product on the skin. Liquid sunscreens that are high in SPF is key, but a runny texture that will smooth on the skin and absorb fast are important features that I look for. Generally, I stick with Asian brands since they’re liquid sunscreens fit my criteria, they don’t cause breakouts, and I’ve been able to happily use them under makeup during the day. 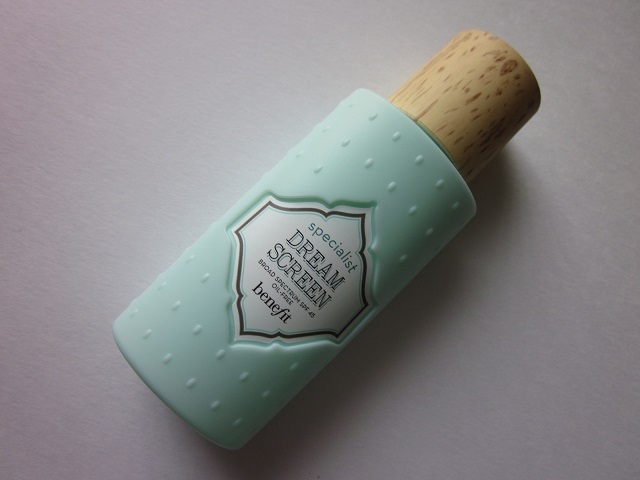 Currently, I’m trying the Benefit Cosmetics Specialist Dream Screen Invisible Silky-Matte Broad Spectrum SPF 45 Sunscreen For Face because I forgot my trusty sunscreen when I was traveling. 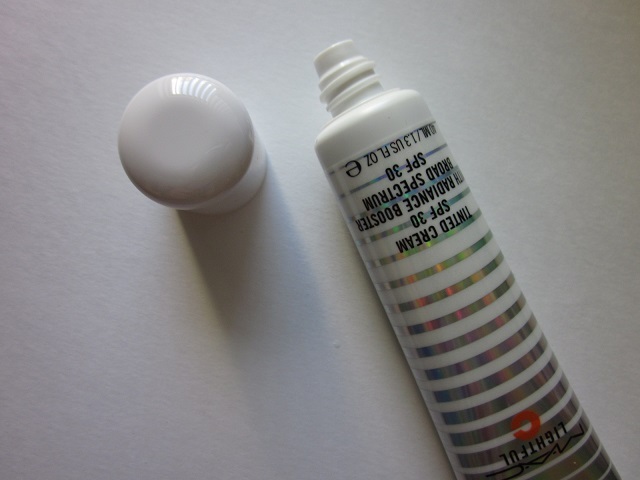 Unfortunately, I didn’t really like Benefit’s version of liquid sunscreens and I returned it after two uses. 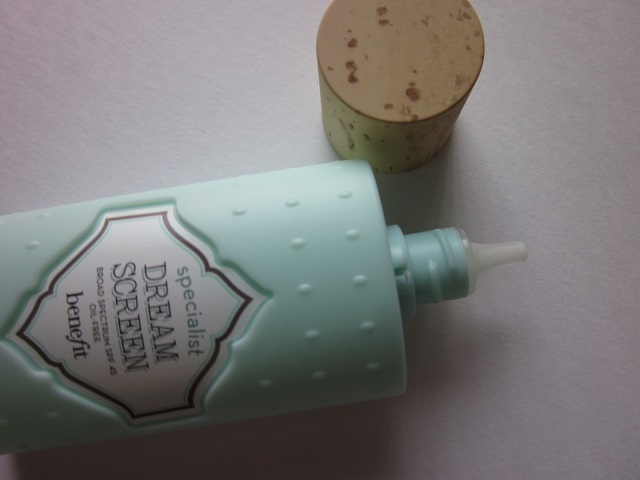 Benefit claims that Dream Screen is a “silky-matte sunscreen [that] is ultra lightweight and truly invisible on skin. It absorbs instantly to help prevent skin from aging by protecting against sun damage…and leaves skin feeling moisturized. The description sounds exactly like what I would ordinarily be looking for. However, I didn’t like this product because it never absorbed into the skin — which made makeup application a little tricky. 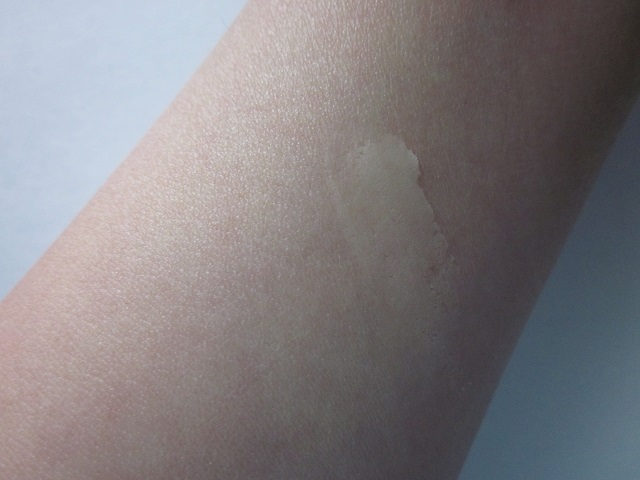 While the liquid sunscreen did feel light upon initial application, it was very slippery and oily feeling once applied. It didn’t absorb or dry down, so when I applied my foundation on top (which is normally what I would do), the makeup slipped all over the place. In addition, while the product is considered to be oil-free and fragrance free, it made my skin oily from the get-go and the weird plastic scent wasn’t doing anything for me either. Another thing that I didn’t really like was the this particular liquid sunscreen did not act as a primer — like most Asian sunscreens do. While the product description never claimed to be a type of primer, I hated layering on products (like primer before foundation) after the Dream Screen was so heavy and oily. Other liquid sunscreens that I’ve tried and would recommend are: Shiseido Urban Environment Oil-Free UV Protector Broad Spectrum SPF 42 For Face, Clarins Sunscreen Multi-Protection Broad Spectrum SPF 50, and Biore Kao Aqua Rich SPF50+. Overall, I wouldn’t recommend this product because it just doesn’t seem like a product that can be worn under makeup during the day. Even with powder and countless oil-blotting sheets, I found that it was more inconvenient than anything else since I just didn’t like how it felt on the skin. The whole reason why I avoid thick, creamy, traditional sunblocks is because it feels heavy and oily on the skin. That’s the point of me exclusively using liquid sunscreens. 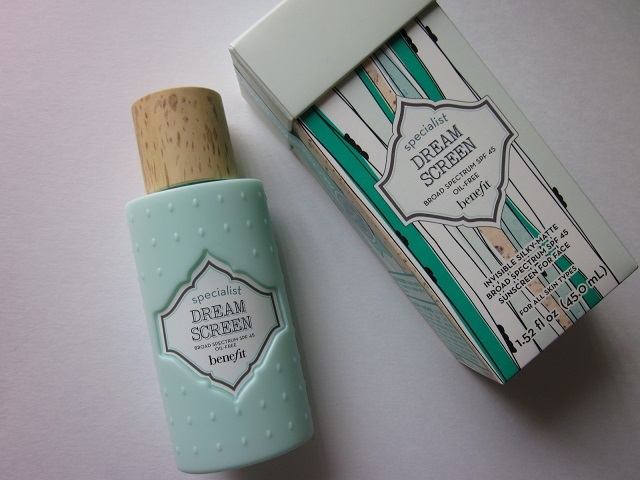 For these reasons, I didn’t like Benefit’s Dream Screen and I would’nt recommend it. On top of that, it was expensive for what it was. I think you could probably wear this on its own without makeup on top, but since it isn’t meant for the water, it may not be worth the hassle. If you do decide to try this, remember to shake well before applying. Now that it’s officially summer time, nothing is more exciting than light, dewy makeup, brightly colored clothes, and fun in the sun. I’ve been planning a few trips here and there with the boyfriend, and since booking a cruise, I realized I didn’t want to be bothered with makeup brushes, foundations, and trying not to sweat off makeup on the beach. 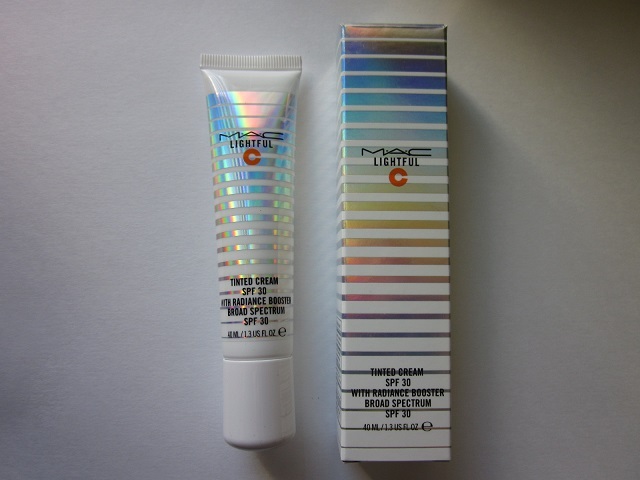 I purchased the MAC Lightful C Tinted Cream SPF 30 with Radiance Booster to take with me on vacation because of the decent SPF level, light coverage, and something that I can wear to dinner and to the pool/beach. The MAC Lightful C “offers a variety of benefits in one color-correcting cream, reducing imperfections and controlling oil while increasing your skin’s natural radiance instantly and over time.” Ordinarily, I avoid MAC face products for the fear of breaking out after a traumatic incident in college with cystic acne. However, I haven’t had any issues with this product and I’m so glad since I really enjoy using it. The MAC Lightful C line seems to have the Lightful C Marine-Bright Formula Softening Lotion, the Lightful C Marine-Bright Formula Cleanser, and the Lightful C Vibrancy Eye Cream. While I can’t say that MAC is known for skincare products, I’d say that this range may be worth looking into. The Lightful C Tinted Cream SPF 30 with Radiance Booster is “infused with a Lightful Radiance Booster and vitamin C, [which are] unique complexes [that] work to correct your overall complexion by reducing the appearance of pores and diminishing dark spots and hyperpigmentation.” In addition, SPF 30 forms a protective barrier against UVA/UVB rays. I wouldn’t wear this in place of your daily sunscreen, but it would certainly be better than nothing in this heat. I chose the shade Extra Light and it’s a great shade/color for me in terms of tone. A little bit of it goes a long way, so even though it leans a hint on the light side, it blends out easily and seamlessly on the skin. 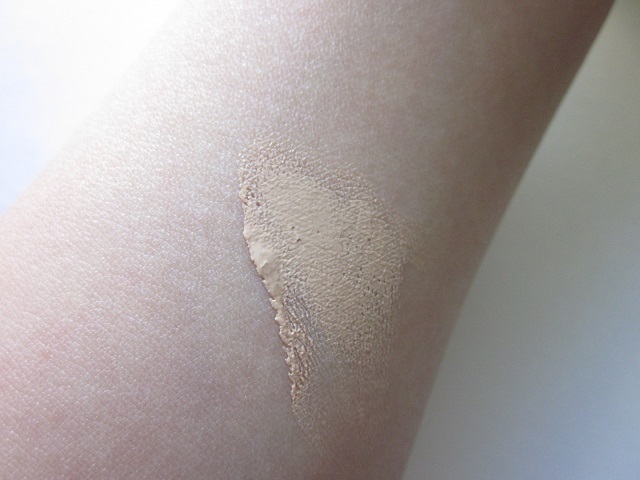 The texture of this product is a whipped, creamy tinted moisturizer. It’s light and the coverage is on the sheerer side. 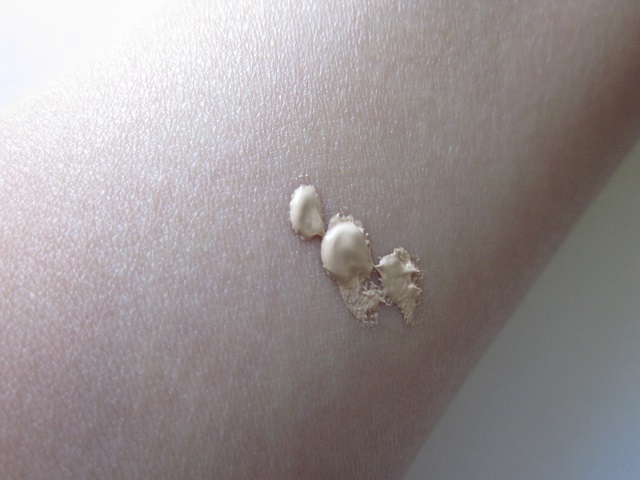 While there is some degree of coverage, it isn’t the same coverage level you’d get from a BB cream or a foundation. The product feels nice and is soothing on the skin; however, long-term skincare benefits shouldn’t be really expected. The formula is really breathable on the skin, which I like since I’ve been wearing it in the hot Texas heat. I also think this would be a great product to take with me on vacation since it’s so easy to apply, it’s low-maintenance, and you still look polished and put-together. I plan to add a little bit of concealer if I need it and some powder for going out to dinner. However, I’d be totally okay with some sunscreen and this product on my face for enjoying the beach and the pool this summer. I don’t there’s any additional brightening/whitening with the product as the title of the product suggests. But it feels nice and looks natural and dewy on the skin, so I’m pretty happy with it. I recommend this product and I think it’s perfect for the summer months. I’d say that this is more like a light tinted moisturizer and may also be great for weekends, going to the gym, and for general no-makeup makeup days. I think pairing this with a nice cream blush and some pink lip gloss would be perfect for the summer months that are coming up. In my recent post about the Boscia Tsubaki Cleansing Oil-Gel, I mentioned I was looking into more hydrating products since I’m trying to keep my skin happy, plump, and moisturized throughout the day. Normally, moisturizing masks are not the kind of masks I go for since I’m all about oil-control and purifying my skin; however, I tried a sample of the Caudalie Moisturizing Mask and had to get the full-size afterwards! 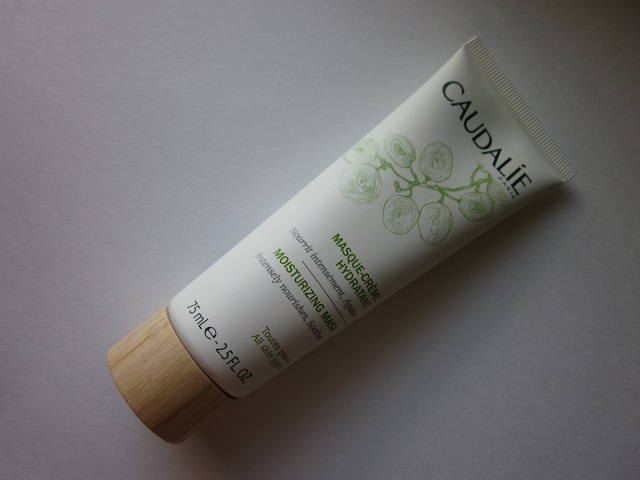 The Caudalie Moisturizing Mask is a part of Caudalie’s new mask release, which includes the Instant Detox Mask, the Purifying Mask, and the Glycolic Peel. You can read my review on the Caudalie Instant Detox Mask here. (1) First, after removing makeup and cleansing your skin, you can apply this mask onto your skin focusing on areas that need extra attention. Leave a thick layer of product on for about 15-20 minutes. Massage in the product in before rinsing your skin clean and move onto applying your nighttime skin care products. (2) Another way you can use this is to use it as a overnight/sleeping mask. As a final step in your skincare routine, apply a thin layer of the mask onto your skin and go to bed. Wake up and wash your face with a gentle cleanser in the morning, and then prep your skin with toner, serum, moisturizer before applying sunscreen and your base makeup. I like to use this product like a traditional mask rather than a sleeping mask. For me, I use a more intense oil-control/purifying mask on my t-zone and apply this moisturizing mask to my cheeks and under my eyes. Occasionally, I’ll apply this on my forehead but I rarely just use this mask alone all over my face. I do this since my skin has different concerns depending on what part of my skin/face we’re talking a about. This way, my t-zone can get a stronger clay mask, while the drier parts of my face can benefit from a moisturizing product. I recommend this mask because it’s so hydrating and really plumps up the skin. My face feels comfortable after removing the mask, and in addition, my skin feels clean but healthy before applying additional skincare products. Sometimes I like to apply this quickly in the morning just to give my face a little extra something before I begin my day. I noticed that leaving this mask on for longer than 20ish minutes makes the mask crusty and it flakes off causing a mess. It’s thick and gooey, but you have to use a lot of product to get the results you want. Unfortunately, this won’t last long since I go through so much of the product every time I use it. 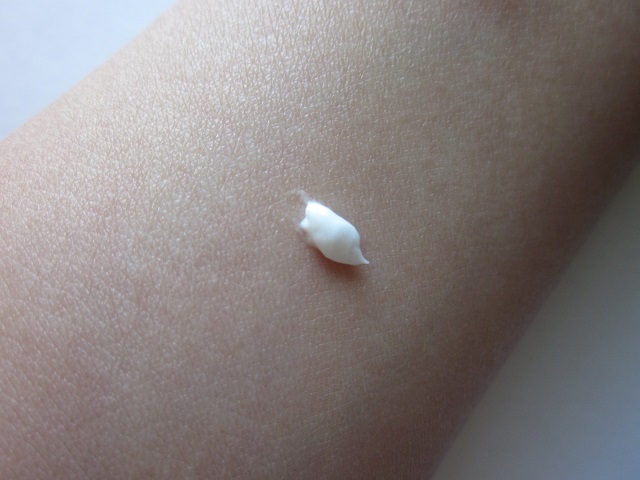 Honestly, I feel like the CC bandwagon is coming to an end — but that may be because I tend to follow Asian/Korean beauty trends and it seems that CC creams are beginning to be old news! However, I can’t deny that the ease and convenience of using CC’s still has me reaching for my trusty BB/CC creams on the daily. Ulta released the new IT Cosmetics CC+ Cream Illumination Foundation, and I was intrigued since it hadn’t been that long since the release of the original Your Skin But Better CC Cream with SPF 50+. In conjunction with the CC+ Cream Illumination Foundation, the CC+ Airbrush Perfecting Powder SPF50+ was released alongside it, but sadly, I don’t like either of the two products. 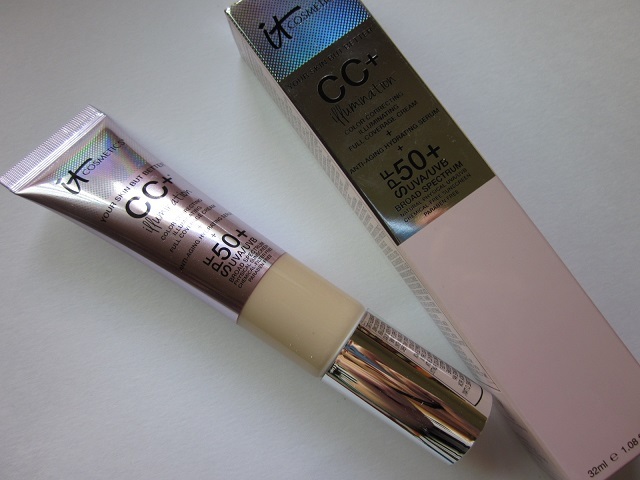 I’ve reviewed the IT Cosmetics Your Skin But Better CC Cream with SPF 50+ if you’re interested. 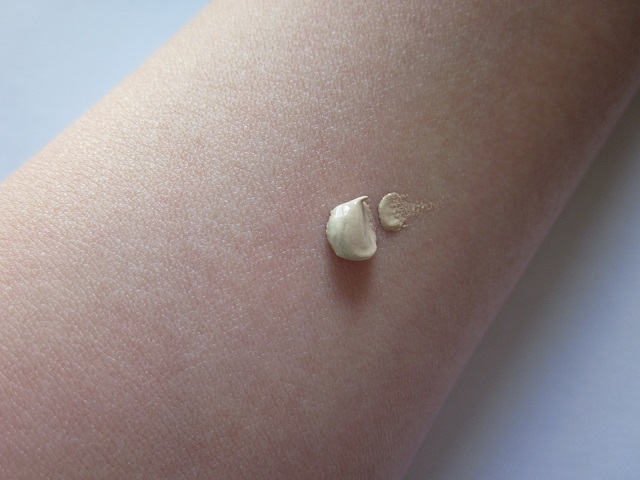 Marketed as “confidence in a cream,” this CC is considered to be more than just a mere CC cream — but one that is considered to function as a foundation. As a “color correcting illuminating full coverage cream,” IT Cosmetics explains that it’s “enhanced with Drops of Light Technology® to give your skin the look of subtle radiance. It’s formulated in five shades that deliver full, flawless, perfect coverage, while protecting your skin with one of-a-kind UVA/UVB broad spectrum physical-only SPF 50+.” The coverage for this product pretty much full coverage, but it feels kind of heavy to me since it looks quite mask-like on my skin (no matter how little I use). In addition, while the radiance factor is what I look for in base products in general, I found that this was too much in radiance and dewiness. I didn’t like how it looked overly shiny and almost shimmery in both natural and artificial lighting. I noticed that with powder, it made the heaviness worse and the product + the powder would cake up around my nose and mouth areas. Overall, I didn’t like how the product looked on my skin to begin; and, it wore horribly throughout the day. While coverage was good, since I don’t really need heavy coverage, I felt that I would be more comfortable with something more sheerer. 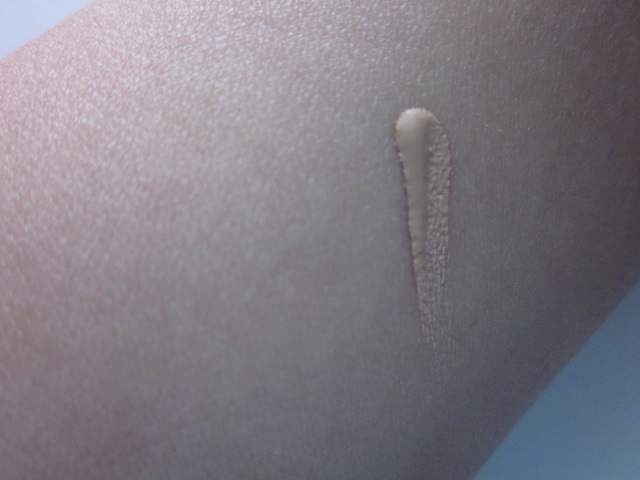 I got the shade Fair, which is the lightest shade that IT provides in this range. The color was fine, but since I didn’t like how it looked on my skin the color match made no difference no difference to me. The product description also stated that this CC+ was “clinically proven to increase skin hydration by 179% and improve skin texture.” I didn’t notice any “advanced anti-aging” from the “serum formulated with hydrolyzed collagen, peptides, vitamins and antioxidants” or hydration effects; and, while the product claims to be a “breakthrough illuminating cream [that] never creases, never cracks and instantly camouflages skin imperfections including dark spots,” I didn’t really see any of that since I noticed caking on some parts of my face. 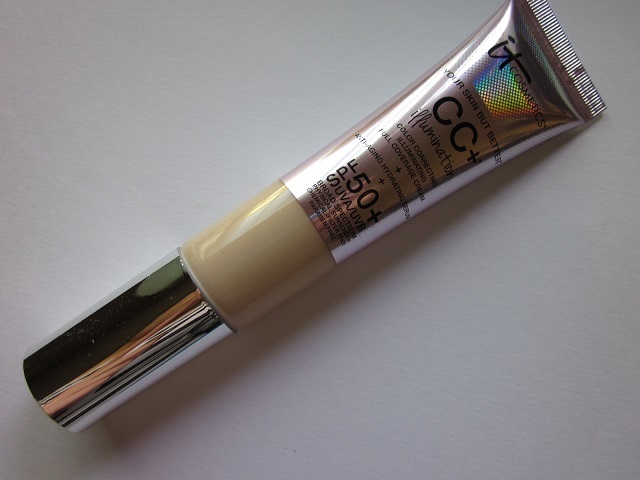 I think the original version of the CC cream is better, but overall, I wasn’t too happy with this product and ended up returning it after a few uses. 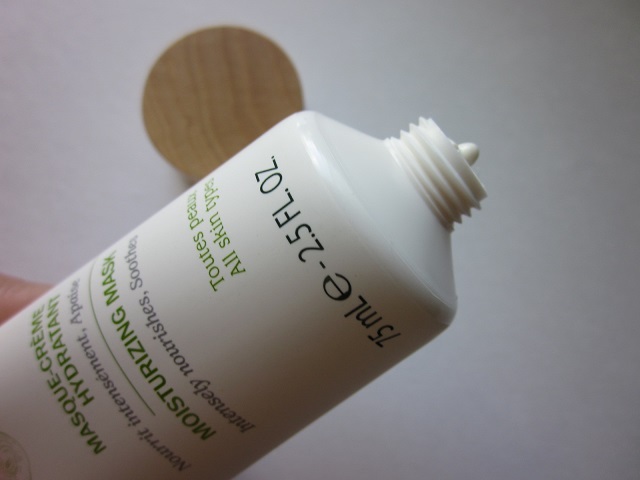 At this point, there are quite advanced products out on the market; and additionally, despite the “hydrating formula infused with breakthrough brightening, color-correcting and nourishing ingredients,” this product was mediocre. I don’t recommend this product because it looked terrible the skin. If high coverage is what you’re looking for, a proper foundation or a light tinted moisturizer and concealer may be a better option for you.